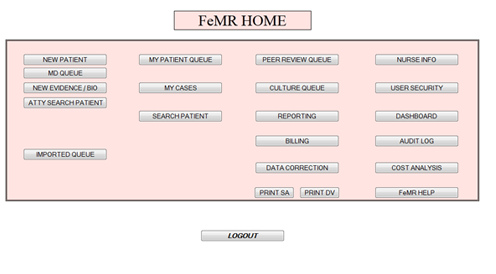 All of the FeMR functions are clearly defined and easy to administer. The exam process is customized to follow your exact process flow. 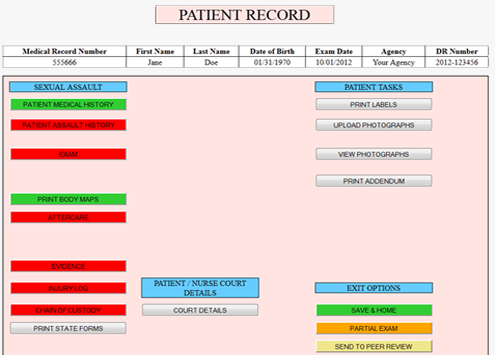 All exam details can be accessed from a single screen. Required data is essential to a complete exam. 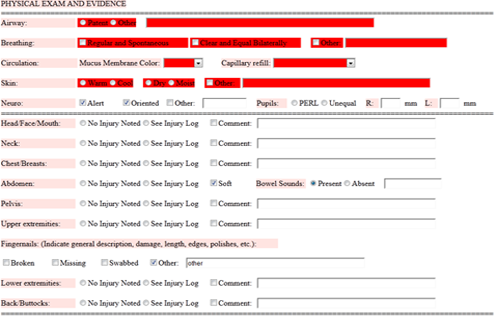 Required fields are shown in red when data is missed. 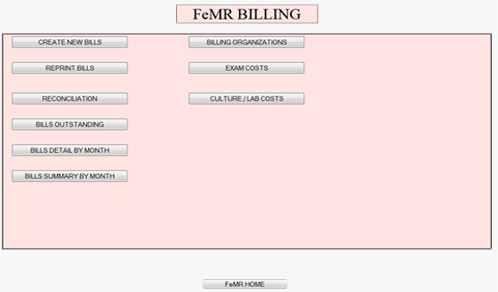 FeMR billing is an add on module that can provide invoicing and reconciliation of all exam, medication and lab testing costs to your billing entity. FeMR Culture tracking is an add on module that will provide tracking of all cultures collected through the entire chain of custody process. Photographs and scanned documents can be uploaded securely via FeMR to an encrypted space for online viewing.